How do I monitor my kids YouTube app history and searches? Since kids today don’t ever sit down in front of the TV to watch shows, YouTube is their go-to source of pop culture and entertainment. There are millions of videos, and so many channels, it is impossible to make sure everything is appropriate for your kids to watch. However, there are ways you can try to limit your child’s access to the full breadth of videos on YouTube, like forcing them to use YouTube Kids and turning on safe search, but even those measures can fail from time to time. The best way to help your children regulate themselves is to monitor their viewing and make sure to have conversations with them when you notice they have watched something inappropriate. One way to keep an eye on what your child is watching on YouTube is to literally keep an eye on them. You can have a rule in your home that YouTube is only allowed in public areas of the home, like the kitchen or family room, and only when there are other people around. This method can help make sure you can catch something inappropriate right away, and discuss it with your child in the moment. If your child is logged into their own Google account on the device, or if they are using your Google account, you can view the history on YouTube.com. Just make sure you are logged into the same account that is used on the device. Once on the main YouTube website, the link to check the history should be on the left. Even if you are not on the same device, the history should match what was viewed across all devices using the same account. If you have a rule in your home that devices need to be turned in to parents every night, you can use that time to check the YouTube app itself. When you open the app, click on the search icon. The search history should pull right up letting you know all the searches that have taken place in the app. To view the watch history, you can click on the Library icon inside the app and then tap “History”. If both the search and the watch history are blank, you can be assured that your child manually deleted the history. Your child would only delete the history if they know they have been watching something they shouldn’t be. That should spark an entirely different conversation, and probably have some punishments along with it. 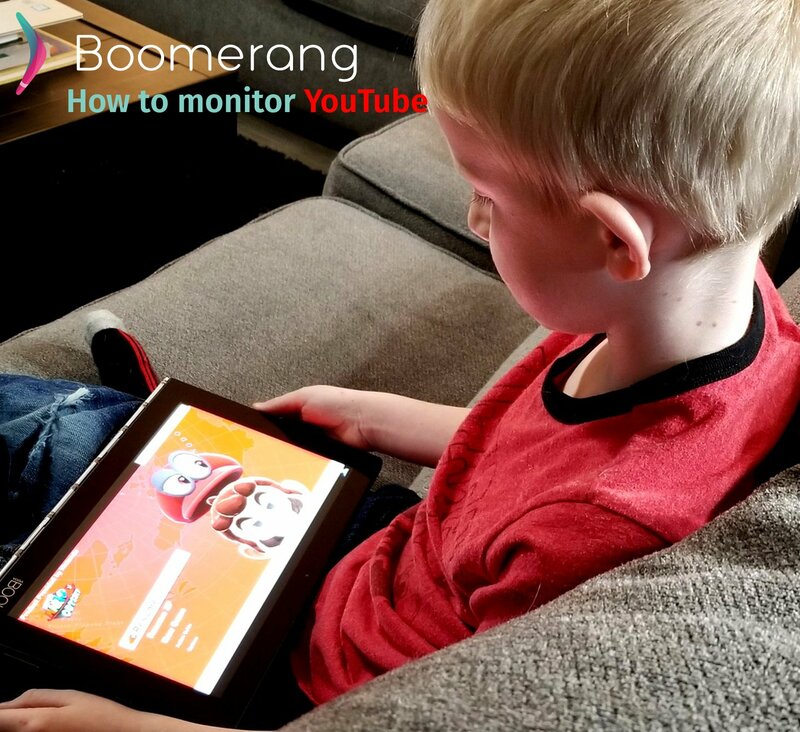 If your child continues to delete history, or if you want to give them a little more freedom, you can install a monitoring application like Boomerang. Using the app can give you a history of all the searches inside YouTube, and list exactly what videos have been watched for any period of time even if your child has deleted them. When you view the report from within the parental control app, you can see the titles of the videos that have been viewed. However, if you login to the website, you can click on the title and the video will open for you to view it. YouTube really can be such a wealth of knowledge and information. Kids can learn science, math, reading, and so much more! It can also be super entertaining, which is why kids are flocking to the platform. Helping them navigate the good and learn to avoid the bad will be a skill they can and will use for the rest of their lives. It’s important to be vigilant about their viewing habits so you can help teach them proper ones.